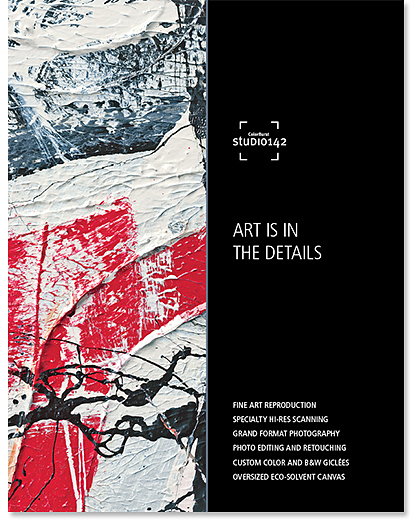 Drawing upon decades of experience developing technology for fine art printing, Studio142 offers specialty high-end scans, fine art reproduction, and prints for artists, photographers, galleries, and to the trade. We worked with New York City-based photographer Douglas Dubler to reproduce 22 of his rare Polaroid 20x24 prints. 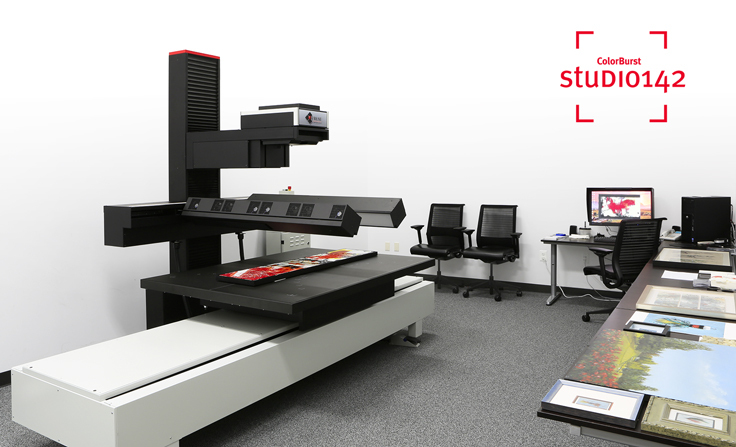 Our Cruse scanner is perfect for this type of work—setup for each scan is quick, and the vacuum table holds work completely flat with no image contact. Each 2GB scan faithfully captures the unique subtleties of the Polaroid film while maintaining full shadow and highlight detail. We worked with nature photographer Frank Lee Ruggles to produce 29 framed black and white prints and a 54"x80" stretched canvas print for the two-story entry of the exhibit. Each black and white image offers a glimpse into the extraordinary beauty found in America's National Parks. To do each scene justice, we printed these images using the ColorBurst Master Archival Process. This two-step process creates archival prints with extended longevity, enhanced tonal range, and sharper image detail. After mounting each image on archival foam core, we worked with Nelligan Gallery to finish the framing for this exhibit. © 2018 CSE, Inc. All rights reserved. ColorBurst products, pricing, and policies are subject to change at any time without notice. CSE cannot be responsible for typographical errors.